Libba Bray has done it again! When an author starts developing a body of work, there’s usually stuff you love or enjoy more than others. That’s natural to expect. But it’s really rare when an author can deliver different works on an high level consistently. There’s no doubt about that when it comes to Libba Bray. I read her first book, A Great and Terrible Beauty, years ago and devoured the rest of the trilogy. Then, Bray came out with Going Bovine, one of the most pleasurable and distinct reading experiences I ever had. And last year, Beauty Queens had me laughing. Now, her latest book, The Diviners, is out. It is set in 1920’s Manhattan and follows Evie O’Neill, along with many other characters, as they become involved with a supernatural murder mystery. This book is the cat’s meow, if I’m going to put it bluntly. The Diviners is incredible, a story full of intrigue, horror, and magic set against the roaring 20’s with lively and brilliant characters. I’m dealing with Post-Good-Book-Depression right now. The Diviners was more than I expected it to be. Evie O’Neill is a vibrant 17-year-old, who is sent to New York City to live with her Uncle Will. Will is a professor and runs the Museum of American Folklore, Superstition and the Occult (aka the Museum of the Creepy Crawlies). When Evie arrives in Manhattan, she becomes enchanted with city-life. Teamed up with friend, Mabel, and Ziegfeld girl, Theta, she explores the nightlife. During the day, she helps her uncle and his assistant, Jericho, solve a murder mystery plaguing the city. As they learn more about the murders, impossible secrets and stories come to light. All the while, we follow the lives of Theta, Memphis Campbell, and many others as they live through the city. The Diviners is creepy, but in the best way possible. It is a murder mystery entangled with horror and supernatural. Plus, the 1920s Manhattan backdrop is a big compliment to the spooky vibe. The atmosphere in the story is wonderfully executed. Bray did a fantastic job bringing this era to life, along with its characters. They felt so real that at times I could’ve sworn they had existed. On top of that, you care about them all and become so afraid for them when you think something evil may be coming their way. The story is an engrossing read. It’s a great start to a series. As they try to solve this murder mystery, we get to see bits of a bigger and longer story coming out. There’s something huge lurking in the background, and by the end, I was dying for the next book to get more clues to what it could be! In addition, the witty dialogue and endearing 20s lingo gives it plenty of humor and lightheartedness so that it’s not dreary at all. The Diviners is one of my favorite books of the year. Don’t let it pass you up! If you have yet to pick up a Libba Bray novel, I feel so bad for you! She’s one of YA’s best authors and more than proves that with this book. Get thrown into a pos-i-tute-ly amazing and terrifying adventure in 1920s NYC. It’s the elephant’s eyebrows! Did ya hear? The Diviners might become a movie! Learn more about it here! 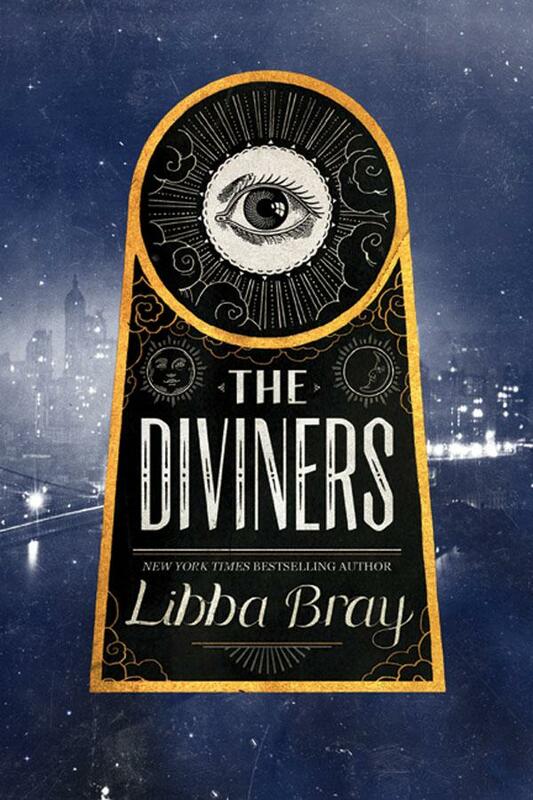 The Diviners is now available where books are sold. Support The Young Folks and purchase it at our TYF Store, powered by Amazon. Previous ArticleSecrets of the Red Box Giveaway: Win a $50 Gift Card!